Our practinioner will treat skin lesions by freezing the tissue. Cryotherapy is the golden standard treatment for skin lesion treatment in medical practice, and we offer this treatment at our Bristol Clinic for skin tags, worts, verrucas, cherry angioma, milia, age spots and sun spots. The treatment involves using a device called a Cryopen. 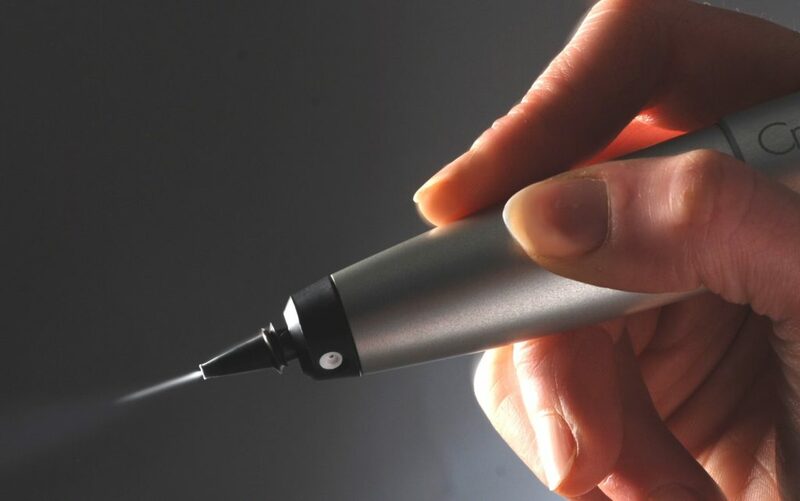 This targets a micro-fine jet of cryogen gas to the lesion, and it is so accurate that healthy tissue can be avoided. The cryogen gas is extremely cold, and this freezes the tissue, cutting off its blood supply. The skin tag starts to shrivel up a few days after cryotherapy treatment and eventually falls off, leaving behind minimal or no scarring. Most skin tags can be treated in 1-2 sessions at our clinic. The treatment is rapid, stress-free and precise. It is not painful and is well tolerated. This entry was posted in Cryotherapy Body Sculpting. Bookmark the permalink.